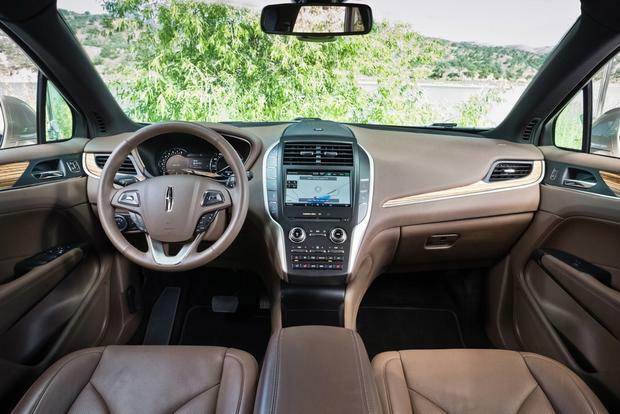 The 2019 Lincoln MKC offers superb performance, technology and styling, making it a true competitor in the compact luxury SUV class. The 2018 Lincoln MKC delivers Lincoln's best luxury features in a small SUV with responsive handling and two powerful engine choices. 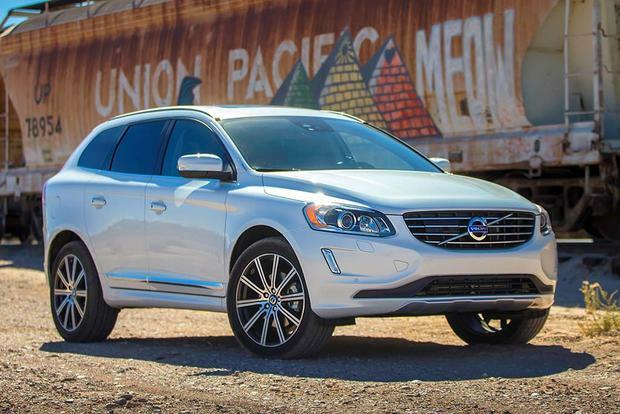 2016 Lincoln MKC vs. 2016 Volvo XC60: Which Is Better? We're comparing two excellent compact luxury SUVs -- the Lincoln MKC and Volvo XC60 -- to find out which is better. 2015 Lincoln MKC vs. 2015 Ford Escape: What's the Difference? We're taking a look at the key differences between the compact Ford Escape SUV and its upscale Lincoln MKC mechanical twin. 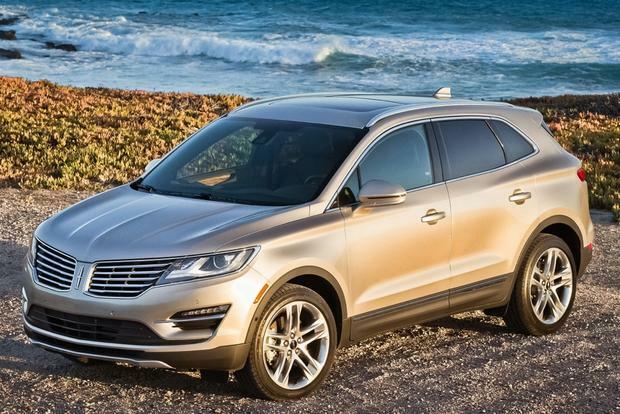 The 2016 Lincoln MKC proves you don't have to go foreign to get quality luxury. Here are five reasons why the MKC is ready to compete. 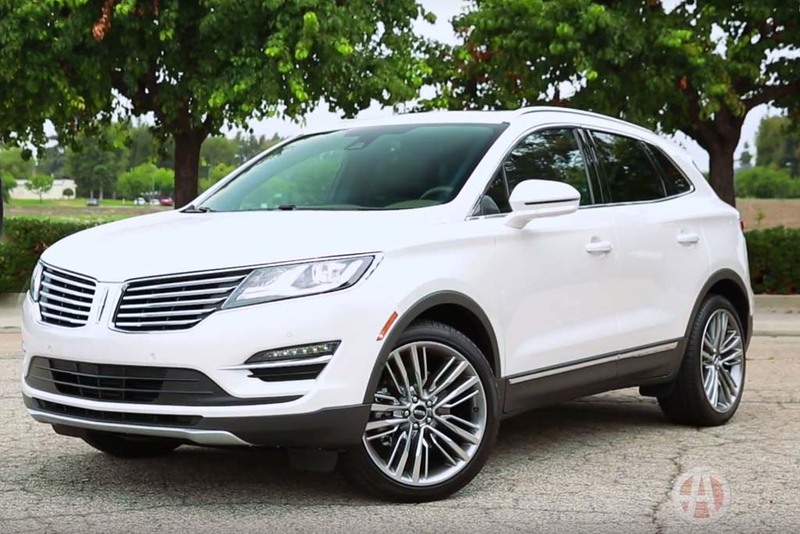 It took Ford's luxury division a really long time to introduce the all-new 2015 Lincoln MKC, its first compact crossover -- but now that it's here, the eye-catching MKC immediately gives Lincoln a meaningful presence in this booming segment. Based on the fantastic Ford Escape, the MKC boasts exclusive upgrades like a 285-horsepower engine and sumptuous leather upholstery by Scotland's Bridge of Weir. Virtually overnight, Lincoln has gone from zero to potential hero in the eyes of luxury-crossover shoppers. 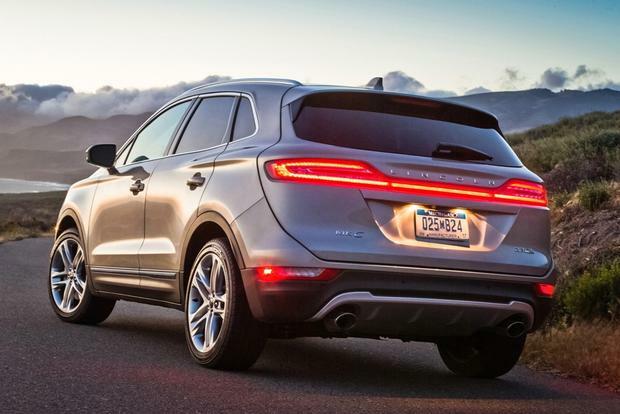 But is the MKC really worthy of the Lincoln badge? We ventured to Santa Barbara to find out. 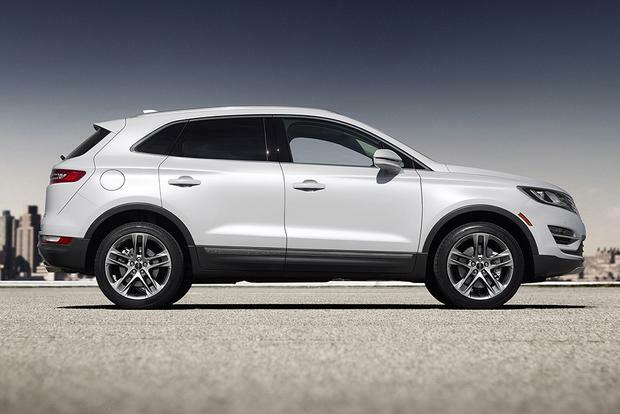 The base engine in the 2015 MKC is a 2.0-liter turbocharged 4-cylinder rated at 240 horsepower and 270 lb-t of torque. Sound familiar? 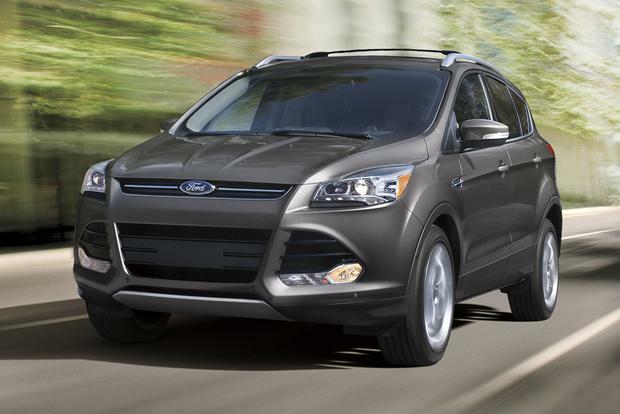 The same engine appears in top-of-the-line versions of the Escape. We've raved about its smooth, assertive acceleration in the Ford, and it's more of the same here -- although the Lincoln does outweigh its humble cousin by about 150-200 pounds, depending on trim. Looking around at other crossovers in this class, the BMW X3 starts with a 240-hp 4-cylinder of its own, while the Audi Q5 gets a 220-hp four. In this regard, the base MKC is fully competitive right off the bat. Like the Q5 and X3, the MKC also offers a premium engine option to woo drivers who want a little extra when they mash the gas. It's still a 4-cylinder, though, albeit a larger 2.3-liter version borrowed from the new 2015 Mustang. Output checks in at a healthy 285 hp, eclipsing the Q5's supercharged V6 (272 hp) and coming within shouting distance of the X3's turbocharged inline-6 (300 hp). 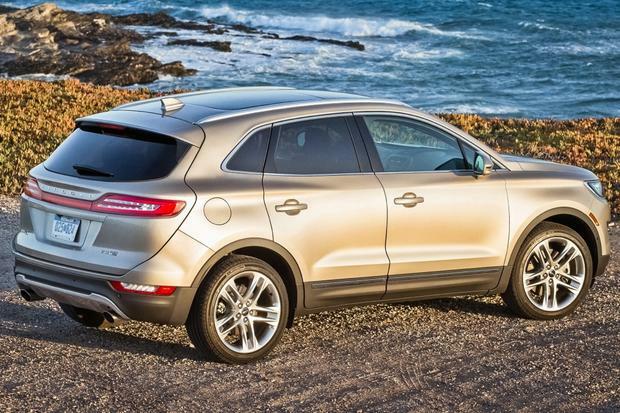 But the MKC 2.3 comes only with all-wheel drive (AWD), and, not surprisingly, it's the heaviest model in the lineup. As a result, acceleration isn't hugely improved relative to the 2.0. Based on these early impressions, we'd recommend sticking with the base engine and considering the standard front-wheel-drive layout, as it yields a respectable 20 miles per gallon in the city and 29 mpg on the highway. 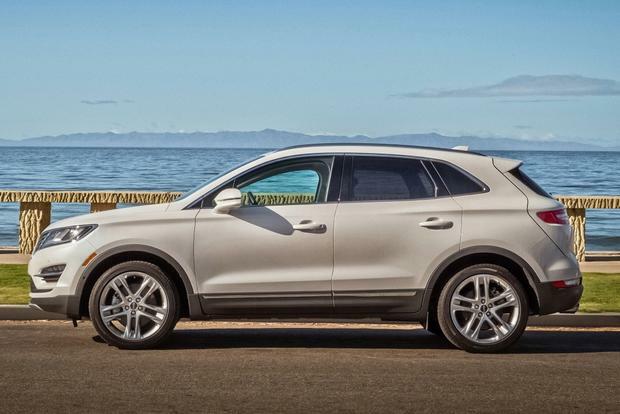 Adding AWD to the 2.0 drops fuel economy to 19 mpg city/26 mpg hwy, while the 2.3 AWD gets 18 mpg city/26 mpg hwy -- the same as the supercharged Audi Q5. If you're expecting uninspired handling from Lincoln's compact crossover, you need to update your Lincoln stereotypes. The MKC is actually a hoot on winding roads thanks to its Escape-sourced underpinnings, which are themselves derived from the superb Ford Focus. In fact, the MKC does the Escape one better with its available continuously adaptive suspension dampers, an affordable standalone option that adds palpable measures of suppleness and sport. But even the standard suspension does a great job, preserving the Escape's fundamental excellence while adding a creamy layer of luxury on top. The Escape already features an unusually upscale cabin, so the Lincoln team had its work cut out. But one look at the MKC's beautiful wood inlays convinced us that this crossover means business. It's clearly more than just a gussied-up Ford. The difference is especially striking in the Select and Reserve models, which get standard Bridge of Weir "Deepsoft" leather upholstery that would impress at twice the price. But even the base Premiere convinces with its attractive synthetic leather and supple materials all around. We do wish the back seat had more legroom for times when taller folks are up front, and a bit more maximum cargo space would be welcome as well -- the MKC's slippery styling shrinks the cargo bay to 53.1 cu ft. versus the Escape's 68.1 cubes. Another nice thing about the 2015 MKC is that every model comes standard with MyLincoln Touch, Lincoln's version of MyFord Touch with a beautiful touchscreen display, Sync voice controls and two USB ports. Although the system is still prone to slowdowns on occasion, its wide range of skills should keep technophiles content for years. Other tech highlights include an optional 14-speaker THX Certified sound system and Ford's innovative hands-free lift gate with its foot sensor under the rear bumper. There's also an available Technology package that bundles adaptive cruise control, a self-parallel-parking system, lane-departure warning and forward-collision mitigation. The 2015 Lincoln MKC is a significant upgrade over the already desirable Escape, and it competes quite well against most rivals. Plus, its starting price is well under $35,000, making it something of a bargain by current standards. This is a compact luxury crossover that America can be proud of.